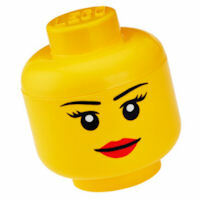 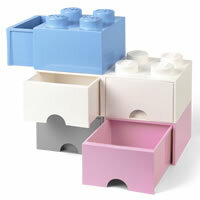 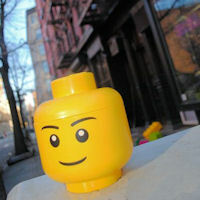 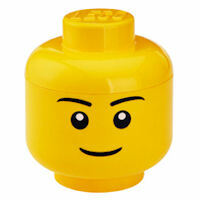 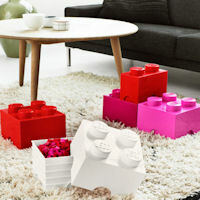 Our neat new giant LEGO storage brick boxes are officially licensed by LEGO themselves and are a firm favourite here at STORE. 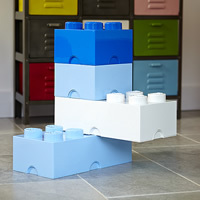 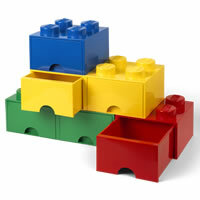 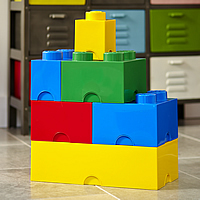 Just like the original LEGO bricks, each storage box can be clicked together and then stacked to create a giant LEGO structure but with the added benefit of storage within. 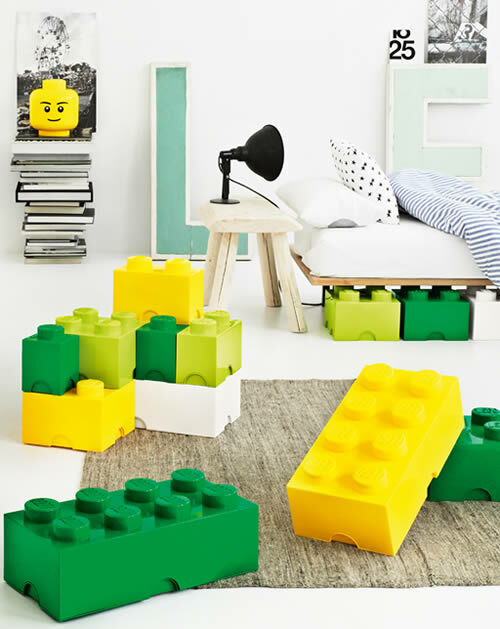 We think they're a great storage idea to encourage the kids to clear away their clutter and also provide a funky-looking solution for children's toy storage. 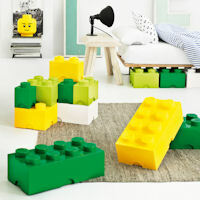 As shown in the photos, these glossy plastic storage boxes also offer sturdy under bed storage in place of more traditional underbed storage boxes. 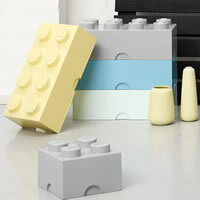 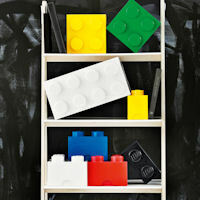 Our Chester STORE shoppers have also suggested that they make for sturdy storage boxes for big kids too and the samples certainly look amazing stacked-up five high in our shop, so why not rekindle your youth and declutter your pad with a tower of retro LEGO storage boxes.